“On October 31, 2017, the District Department of Transportation (DDOT) issued the Potomac Construction Company a Notice to Proceed for the design-build construction of the next phase of the Metropolitan Branch Trail. The new trail will connect the existing trail from John McCormack Drive in Brookland to the Fort Totten Metro Station. This is the next major milestone toward the completion of the Metropolitan Branch Trail. The Metropolitan Branch Trail will be an 8-mile multiuse trail that connects Union Station in the District of Columbia to Silver Spring, Maryland. The new trail segment will provide a direct off-street route for bicyclists and pedestrians traveling through the Fort Totten area. It will include LED lighting, security cameras, and way-finding signage, and permeable pavement, along with bio retention facilities, which are similar to rain gardens. Using a design-build process for construction of the Metropolitan Branch Trail streamlines the final design process and construction, which is expected to be conducted, weather permitting, within the next 18 months. 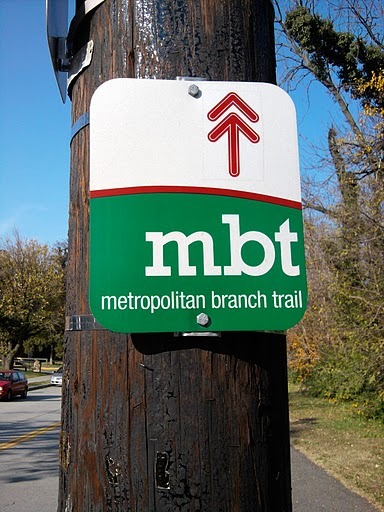 For more information about the Metropolitan Branch Trail, visit metbranchtrail.com.